The frame pad is an essential safety component on your trampoline. 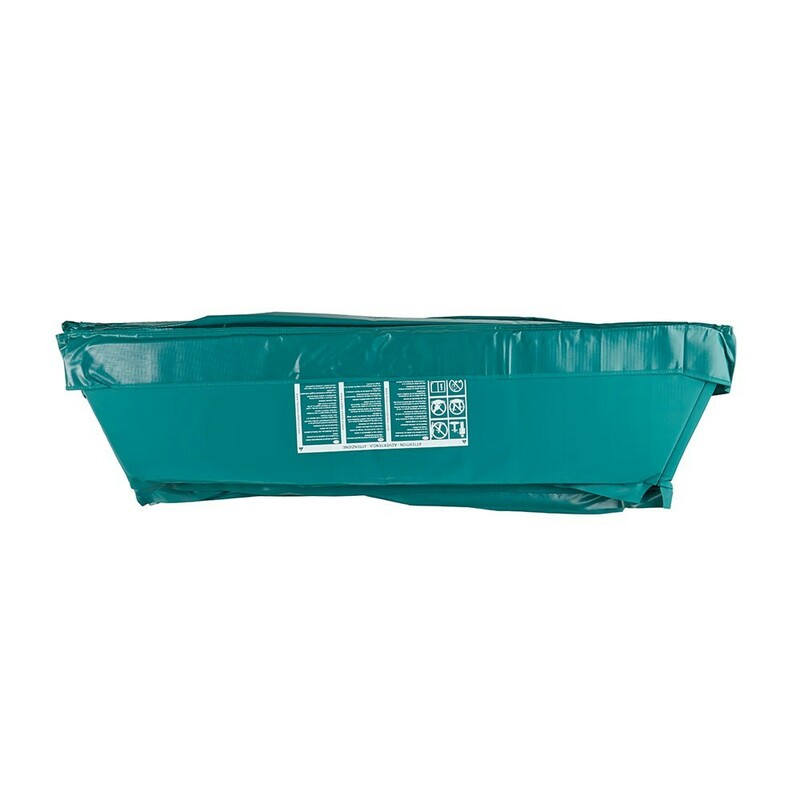 It covers the springs and protects the straps of your jumping pad. 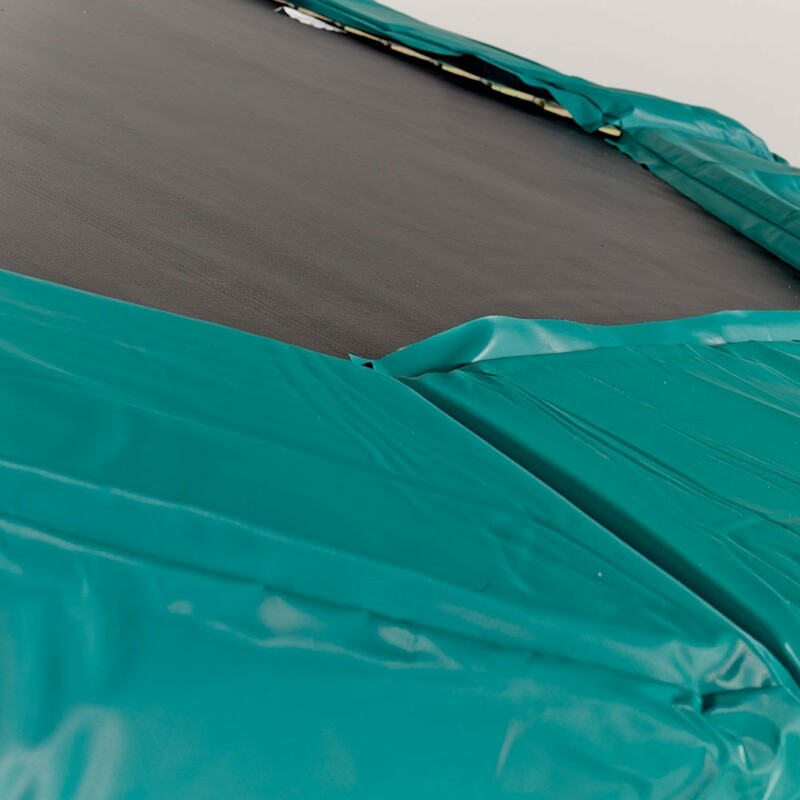 This frame pad ensures perfect padding in case of falls outside of the jumping area and protects the other components of your trampoline. 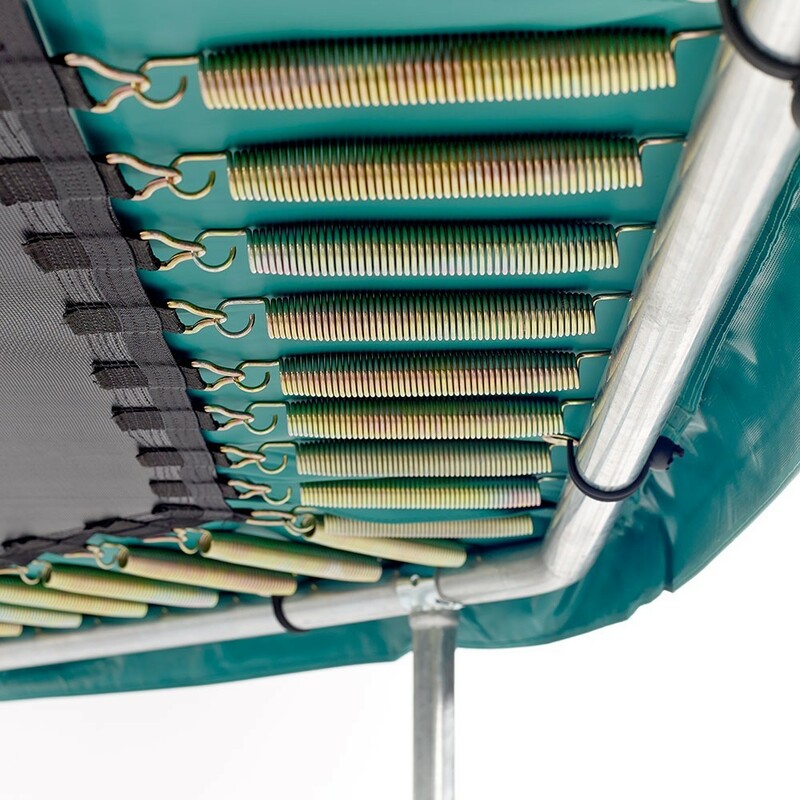 This frame pad is adapted to trampolines measuring 4.27 m by 3.96 m, with springs of a maximum of 230 mm in length. - We are offering you a brand new Premium frame pad, perfectly adapted to all octagonal trampolines with exterior measurements of 4.27 by 3.96 m.
- The quality of this Premium frame pad is far higher than a great number of models available on todays market, as it has many technical advantages. The foam itself is one of them. 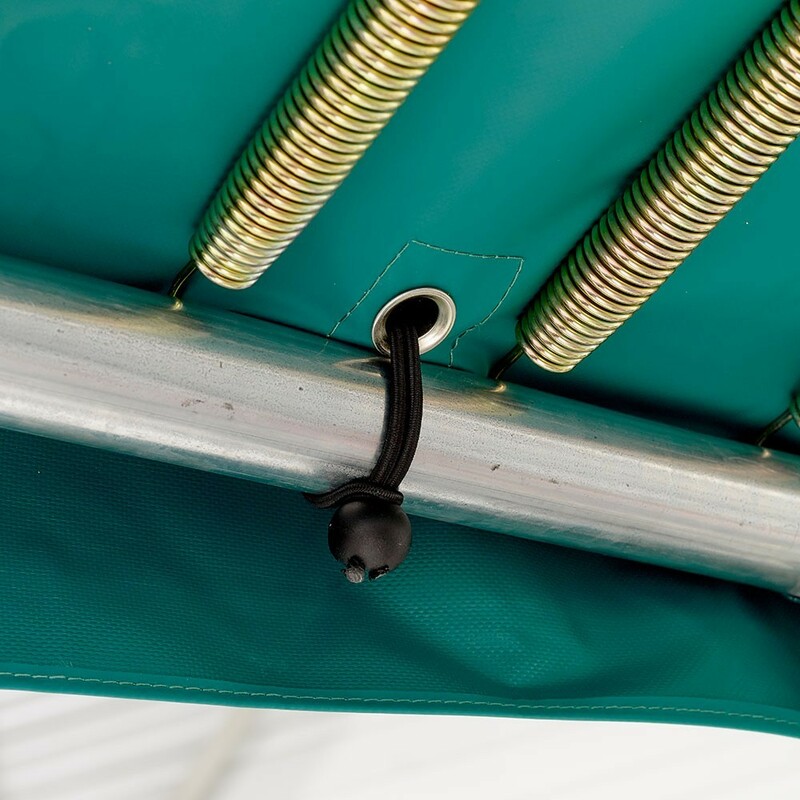 Made from a 30 mm thick, highly resistant expanded polyethylene monobloc, it will protect your trampoline from any shocks. - Many frame pads are made using strips of foam, whereas this pad uses a single monobloc. This characteristic means that the frame pad is completely waterproof, which will protect the springs and is far more flexible and shock-resistant than other materials. - The green coloured cover is made from very thick, UV protected PVC (0.55 mm), whereas most PVC used by our rivals is only 0.35 mm thick. 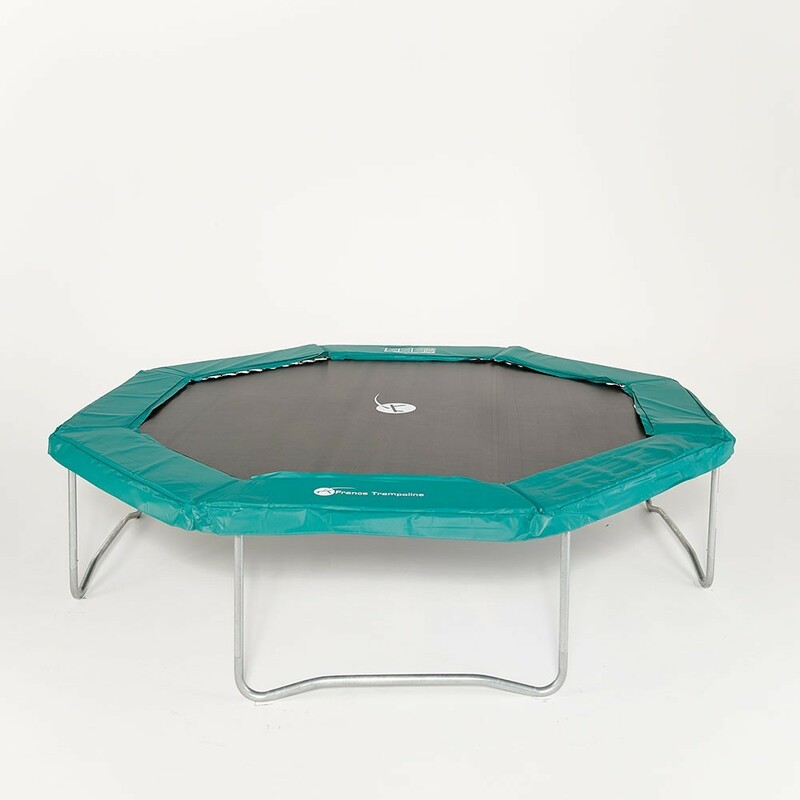 - This frame pad is easily fixed to the trampoline, using 16 elastic straps which prevent the frame pad from being too static and rigid. 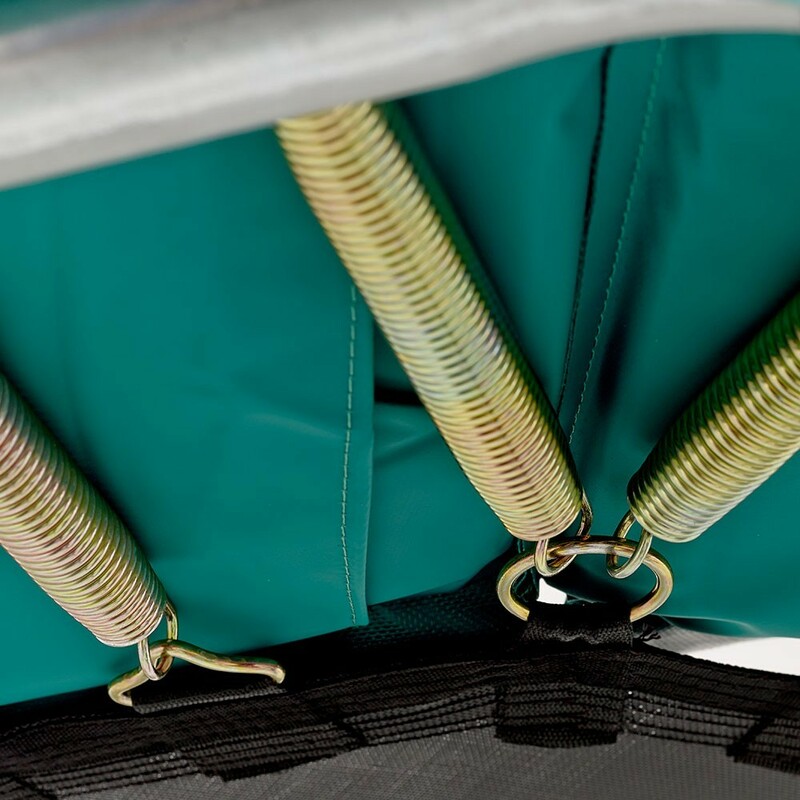 These elastics will effectively allow the frame pad to rest slightly above the springs avoiding any friction and therefore preventing the pad from getting damaged on the springs. Contrary to fabric straps, these elastics will not break under the strain of repeated falls on the frame pad.